At level 31 the player has an acces to the Arena. The number in a corner shows how many free attempts in day at you remained. Exactly at midnight this number is updated and becomes 15 again - so many time you can throw down a challenge to contenders on the arena, without buying additional attempts. 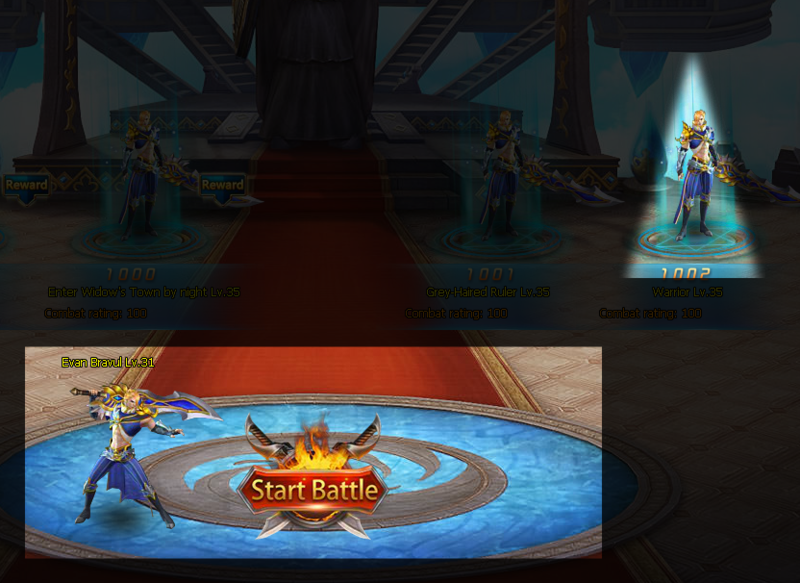 Click on the contender so he's appeared infront of you and then click «Start Battle». 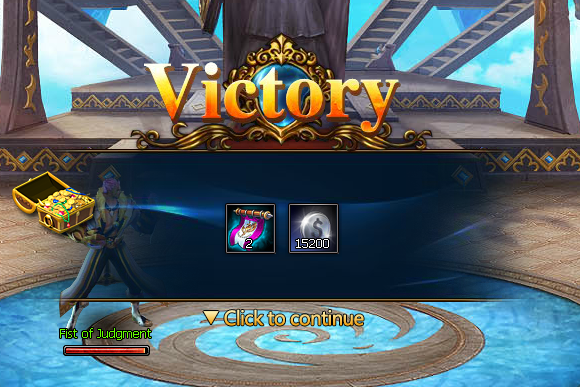 Doesn't matter if you win or lose, you still get a reward. But in case of winning reward will be higher. In case of losing your place won't change, but in case of winnig you'll replace opponent that has been defeated. Pay attention to information panel at the left. Here you can see the number of the remained free attempts. The quantity of the points gathered in a day (My score) can be exchanged for Prestige or Energy stones for your level («Exchange» button). At midnight the score resets. Below the score you can see your Rank at the Arena, and «Hero ranking» button where you can see rating on the server. 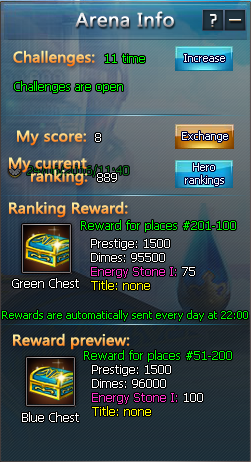 Under your Rank you can see rewards that you receive for the position in a rating at 22:00, when the result summorizes and also those prizes which you win if you get to the next group. Fight at the Arena and get daily rewards!